Alas, Bowl season is nearly upon us in college football and the BCS picture is finally becoming clearer. With today's BCS rankings, mixed with the probable results of Saturday's remaining regular season and conference championship games, we can begin to contemplate match-ups for the BCS bowl games. I would not exactly call these predictions, rather they are favorable match-ups which I believe would result in a more entertaining bowl season for the fans and the schools involved. -Auburn and Oregon are clearly the most deserving teams in college football. Pending the results of Saturday's SEC Championship game, Auburn will have gone undefeated in the toughest conference in college football. Oregon is no slouch either. The Ducks have a versatile offense and the most prolific runner in college football this season, LaMichael James. And did I mention Auburn's Cam Newton? The Tiger quarterback has all but won the Heisman Trophy and has taken the country by storm. What better way to cap-off the college football season than to see the probable Heisman Trophy winner square off with the most likely runner-up in the season finale National Championship game. -I know this match-up goes against the Rose Bowl tradition of plotting the Pac-10 against the Big Ten, but in this case I think it is well worth breaking the tradition. Stanford and Arkansas both feature the nation's top two passing threats in Andrew Luck and Ryan Mallett, respectively. Arkansas will be obtaining an at large BCS berth and Stanford has won the Pac-10 while currently boasting a number 4 ranking in this week's BCS standings. Expect TCU to receive the bid for this game over Arkansas, but who can argue that most of the nation would be well-pleased in seeing Luck and Mallett square off in Pasadena come January. -TCU has accomplished the feat of being a BCS buster team from a non-AQ conference. While the Horned Frogs had their sights set on an appearance in the National Championship (and a small glimmer of hope still exists), they have nonetheless earned themselves a well-deserved at large BCS bid. With all of the controversy surrounding the debate of whether or not non-AQ conference teams deserve a chance in the BCS, let it be answered by letting TCU play the Sooners. Oklahoma is my pick to win the Big 12 Championship, and they are a formidable opponent out of the Big 12 year in and year out. Let TCU play Oklahoma to see if the Horned Frogs (and all other non-BCS conference teams) are worthy of holding a place in the BCS. Also, the site of the Fiesta Bowl is convenient for Oklahoma, as well as TCU and the school's fans. Getting enough TCU fans to the game is crucial. If the Horned Frogs play in nearby Arizona, this wouldn't be any problem one would think. -The ACC is still undecided. What we do know is that Virginia Tech will play Florida State on Saturday for that conference's championship. While I do not know who will win that game, I do know that they, in all likelihood, will play in the Orange Bowl. An ACC/Big Ten match-up sounds intriguing, so I like picking the Badgers to play against either Virginia Tech or Florida State in Miami. -Again, I know this match-up goes against the mold of an SEC team playing in the Sugar Bowl. However, this year an SEC team will be playing elsewhere for a national championship. While Arkansas does have an at large bid, I think a better route for this game would be to take the path of plotting Ohio State (the runner up in the Big Ten) against Connecticut (the probable Big East winner). To be honest, the biggest reason for this match-up is because you have no where else to put the two of these teams, who have both rightfully earned BCS bids. But I do think this match-up to be a fair one. Ohio State did not win the Big Ten, hence they will not receive a Rose Bowl bid. Traditionally, a Big East team fills a spot in the Sugar Bowl so go ahead and mark Connecticut down to play here. I expect Arkansas will get the bid to this game, but I'd rather see them play in the Rose Bowl against Stanford. Because of this, Ohio State should fill the leftover Sugar Bowl spot. Excuse me? Did I hear you correctly, Donovan? Did you say you want your new team, the Redskins, to sign free agent wide receiver Terrell Owens? You must be out of your mind! Sources broke news today stating that Redskins quarterback Donovan McNabb has been encouraging the team to make an attempt at signing free agent Terrell Owens. While Redskins ownership has made it public that it is a top priority this offseason to upgrade their wide receiver position, head coach Mike Shanahan said today that the team would prefer not to bring Owens into the locker room if another solution can be found. Owens spent all of last season with the Buffalo Bills and became a free agent after the team decided not to renew his contract. A source close to McNabb said that, while shooting an episode of “Pros vs. Joes” in Los Angeles, the quarterback and Owens talked about the possibility of reuniting. 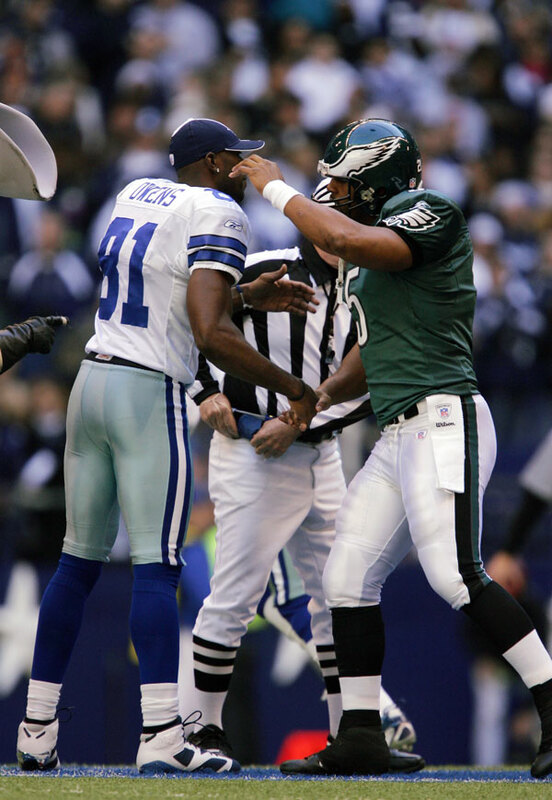 In 2004, the Eagles were flying high with a 10-1 record when Owens antics started to, once again, flare up. Owens became increasingly unhappy because he claimed McNabb did not throw him the ball enough. Then in November of that same year, during a game at Giants Stadium, Owens finally spoke up in the huddle after a play designed to go to him resulted in a short, incomplete pass to a running back—according to Owens’ book. From that point on in 2004, the pair hardly spoke another word to each other. Following a tumultuous summer, the 2005 season saw a divided Eagles locker room that climaxed into a fight between Owens and retired defensive-end Hugh Douglas, whom head coach Andy Reid had just given the title of “team ambassador” to. After the fight, on November 7th, Reid sent Owens a letter outlining six charges against the receiver and sent Owens home for the remainder of the season. Owens filed a grievance with the players’ union and a hearing was scheduled. 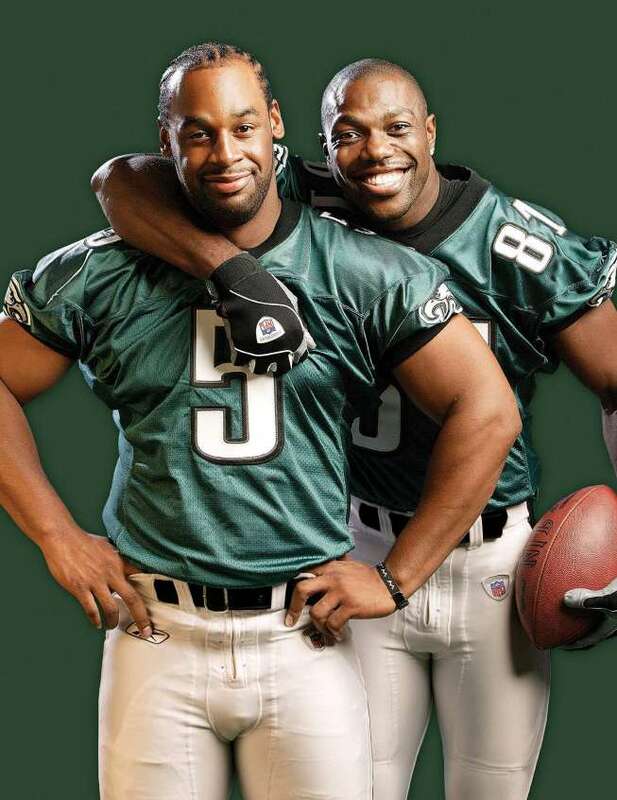 That marked the end of Owens time as a Philadelphia Eagle, and his stay as primary target for Donovan McNabb. After recalling all of Owens antics and outbursts, it sounds a bit absurd for McNabb to want T.O. back in the same huddle as him—and it is. The Washington Redskins, or any team for that matter, would have to be out of their minds to want to allow a nuisance such as Terrell Owens on their team. He is an out of control team wrecker, and a bad locker room personality. The last thing McNabb needs on his new team, and the last person Mike Shanahan wants on his sideline, is a complaining, loudmouthed Terrell Owens stirring things up. The Redskins have an NFL-low four picks in this week’s draft, so expect the team to find an alternative way to upgrade their receiver position. You should not expect, however, that any upgrade will involve Terrell Owens. While this may all be here say, it would be in the Redskins best interest to stay away from the aging receiver. Owens production numbers have been on the decrease for the past five seasons. Despite nearly a five month layoff from competitive golf, Tiger Woods impressed many of his critics as he finished tied for fourth place at last week’s Masters Tournament in Augusta, Georgia. Many had previously believed that Tiger would struggle greatly, possibly missing the cut, during his return to golf following his highly publicized “transgressions.” Nonetheless, the week turned out successful for Woods. Although he did not win the tournament, Tiger was in contention for all four days. For the most part, his reception from the patrons was warm and welcoming. Most were pleased to see that his game had not diminished too greatly after his extended break. Excluding his struggles off of the tee for the majority of the final two rounds, Tiger Woods proved he has not lost his knack for competing. He has not lost his world renowned golf abilities either. Tiger currently sits only four wins back, at 14, of Jack Nicklaus for the all time record of most victories in major tournaments. If the past is any indication, there is no reason whatsoever why Tiger Woods could not be sitting just one shy of Nicklaus’ record at the end of 2010. Let me take a moment to explain why Tiger Woods will be so difficult to contend with at the three remaining major events of the 2010 PGA Tour season. Firstly, the U.S. Open will be held at Pebble Beach this year where, needless to say, Woods won by a record fifteen strokes in 2000 (the last time the U.S. Open was held at Pebble Beach). Many consider his victory there to have consisted of the finest four rounds of golf ever played; it kicked off the “Tiger Slam,” as he won four majors in a row beginning at Pebble Beach. Woods finished that tournament with a 12-under 272, fifteen strokes ahead of runners-up Ernie Els and Miguel Angel-Jimenez. He bogied just five holes during the week and did not three-putt a single green. Tiger will be entering the 2010 U.S. Open as the overwhelming favorite for good reason; his past success at Pebble Beach is unparalleled. Next is The Open Championship (or British Open) in mid-July. This year it will be held at the Old Course at St. Andrews in Scotland. 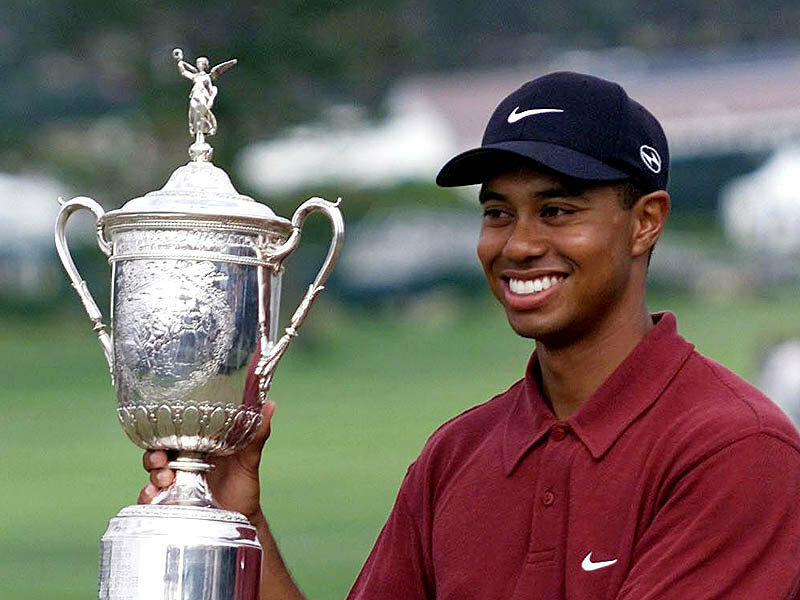 Tiger has won the last two Open Championships that were held at St. Andrews, 2000 and 2005. His victory in 2000 was most noted for him not having to play a single bunker shot. Staying out of the deep bunkers at St. Andrews is crucial, Tiger did that magnificently and won easily (by 8 strokes, as he shot a 269 for the tournament). In 2005, Woods opened by shooting a 66 and a 67 in the first two rounds, respectively. Having the lead heading into Saturday he never looked back, eventually winning by five strokes. In each of his two victories in The Open Championship at St. Andrews, Tiger was able to maneuver the course easily with both power and finesse; Tiger’s style of play sets up perfectly for success at St. Andrew’s Old Course. An even scarier thought: Tiger has said repeatedly that St. Andrews is his favorite golf course in the world. Lastly, the 2010 PGA Championship, held in August, will be played at Whistling Straits in Kohler, Wisconsin. This is the site where Woods had one of his worst showings in a major championship ever. He finished tied for 24th after struggling to make the cut with an opening round 75. To his credit, he had been dealing with the ailing health of his father as well as completely overhauling his swing. Most of Tiger’s year in 2004 consisted of constant work with his swing coach, Hank Haney, trying to improve his entire golf swing. Although Woods struggled at his last PGA Championship appearance at Whistling Straits, the course sets up perfectly in Tiger’s favor. The links-style course is the longest in major championship history, measuring 7,514 yards. The course consists of three par-4’s measuring at least 500 yards a piece, with the shortest par-5 measuring 569 yards. There are over 1,000 bunkers. That’s correct, 1,000 bunkers; so much sand that it’s difficult to tell when one bunker ends and the other begins. The course, designed by Pete Dye, can leave players with snowmen all over their scorecard. When the wind kicks up, shooting ten over par is not uncommon. However, if Tiger shows up with his A-game, there is no reason why he could not win the tournament. Seeing as how Woods is consistently one of the longest drivers on tour, the long course-layout gives him an obvious advantage over much of the field. The greens at Whistling Straits could also benefit Tiger. They are said to be relatively easy to putt on, and with short game being Tiger’s biggest strong point, he should have no problem sinking putts. If Tiger Woods can put it all together in 2010, and keep himself composed, he should have no problem staying in contention at every remaining major this season. Although he has previously stated that passing Jack Nicklaus for the all-time major victories record is meaningless to him, it has become increasingly evident to all of us that it is not the case. The record means everything to him. Not only is he currently the number one ranked player in the world, winning that 19th major championship would leave him as the number one player of all-time. In today’s sporting world, when a player makes a mistake away from his or her respective sport, forgiveness comes when success is attained. With that said, you can expect Tiger’s issues with his multiple affairs as well as his highly publicized car accident to be all but forgotten after the end of the 2010 PGA Tour season.